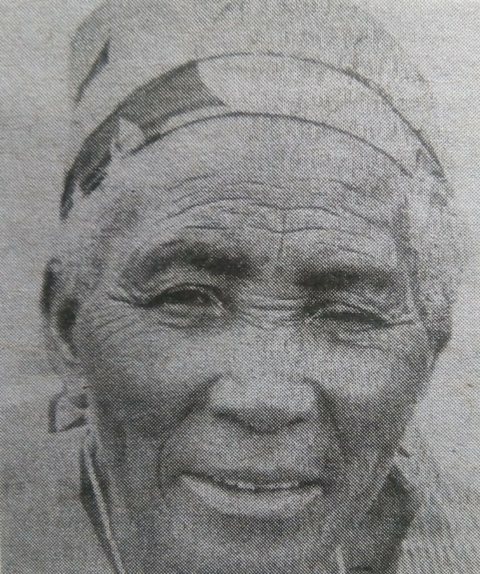 It is with profound sorrow that we announce the promotion to Glory of mama Salome Saru Walele. 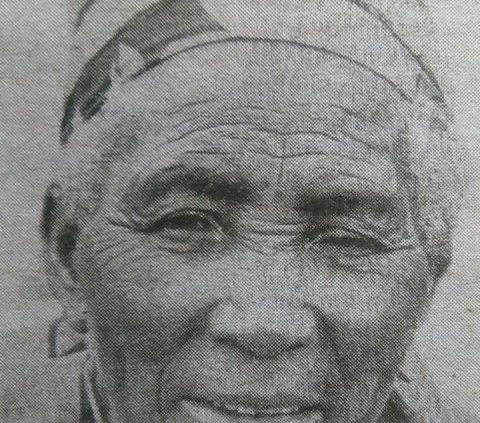 Wife of Mzee Serveine Walele Nyambu. Mother of the late Eutropia, Anastasia, Leah, Scholastica, Godfrey, the late Beatrice, the late Sinfrosa and Tobias. Sister of Elizabeth, the late Agatha, Gabriel, the late Fransisca and the late Fabian. Mother-in-law of the late Charles, Michael, the late Benjamin, Kennedy, Debora and Pamela. 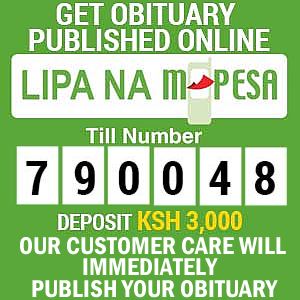 The cortege leaves Voi St Josephs Shelter of Hope at 10.00 am on Friday 09 November 2018, and thereafter a funeral service and burial at Susu Saghaighu on Saturday 10 November 2018. In God’s hands you rest, in our hearts you remain forever.